Hello my lovelies! I know that I missed the October post. But I’m here to redeem myself with a November post. Life has been super crazy recently so I wasn’t able to give it my all last month. I can’t believe that it’s already November, the year is almost up. 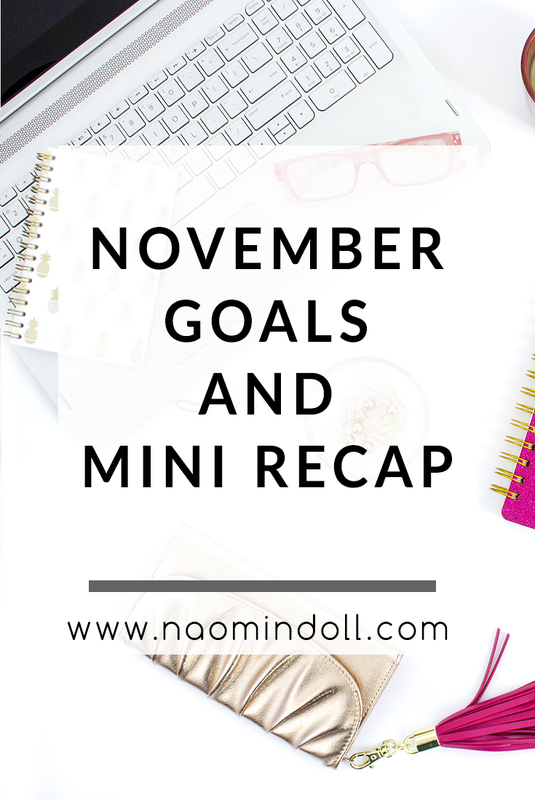 So let’s check out my November goals below! First I just wanted to check in on my September goals. I was able to do all but open my first store. I decided to save that for the new year. I want to use the holidays as a time to refocus and decide on the route of which I’m going to go with it. Post 3 Times A Week – I started this goal early with my Monday post on Living with Seborrheic Dermatitis. I decided that November would be the best month because of NaNoWriMo. Rather than the goal of 50k words, I’m looking at steady schedule of blog posts this month. If I will myself into a routine, hopefully it’ll carry over into the future. 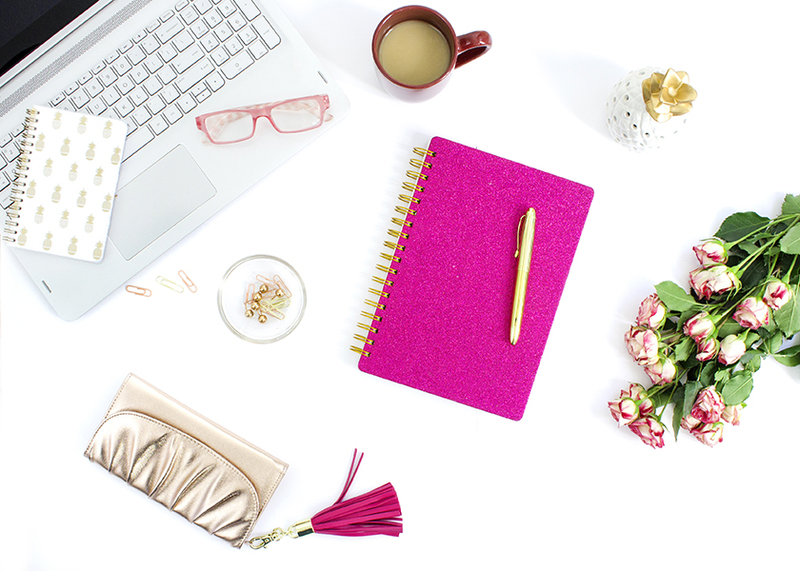 Connect With Others – This both a goal within the blogsphere and outside of it. I’ve always been a loner to an extent but I find that it hasn’t been doing me any favors. So for this month, I’m hoping to make a connection with at least one person. Post 1 Review – I want to review at least one product this month on my blog. Though I actually love reviews but I feel like I never have anything of worth to talk about. I believe that having at least one review will help fill out my blog more. Respond To Every Comment I Get – I’m so terrible at this, I really am. But it doesn’t mean that I don’t read the comments that I do receive on my blog. I always do, but I end up waiting too long and then comments begin to pile up. In order to change that I’ll be responding to comments as soon as possible. I don’t want leave anyone hanging or feeling ignored, because I know I don’t like that feeling myself. Clean Up Old Posts – This means editing my older posts, making them SEO friendly and adding a pintastic image. I want that you can go however back in my blog and still get quality content. It won’t be easy and may even take me into December. However I need to start somewhere. Hit 1000 on Instagram – This is a goal that I’ve had from the beginning of the year. I was told that it was too ambitious for someone with just 200 followers at the time but look at me now. I’m so close, I could taste it. So here’s to hoping that I make that big jump this month. Grow My Pinterest – So I’ve had my Pinterest for god knows how long. But I’ve only decided to work on it in the month of October. Because of that I’ve nearly my followers, but it still isn’t a lot. 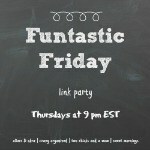 I’m looking to go all in with my Pinterest and start doing optimized images for each of my blog posts. Continue My Skin Routine – Last month I started a skin routine and my Seborrheic Dermatitis has subdued. I have a tendency to drop off with routines so I’m hoping to not fall by the waste side. Sew My First Costume – In October, I sewed my first Halloween costume by scratch. I want to get more serious cosplay as not only a hobby, but a potential career. So I’m going to dive into making my first cosplay and even perhaps do a shoot as well. Continue Going To The Gym – On the first Monday of October, I started going to the gym with my boyfriend. I always say that I’m going to exercise but never do, but this time is different. Because I have someone to go with who is very consistent, I too have been very consistent with going to the gym. We have been going 3 times a week for four whole weeks now. I haven’t noticed any improvement yet but hopeful it’s there. Improve My Photography – I have a very decent camera and earlier this year I did a course at my university in photography. However I feel like it has gone to waste because I haven’t been doing much with it. I want to change that and start practicing more and more. Practice makes perfect, and I have a thing for perfection. My blog has lacked recently in the photography department and I want to change that. Especially in relation to my futures and DIY posts. These are a lot, not just the number of goals, but a lot of work. Hopefully now that I have it all written out, I’ll be more likely to complete them. We shall see. What are some of your goals for November? Let me know in the comments below! Lovely post! Great goals! I hope you accomplish everything you set out to!! Thank you! I’m glad that you like it. Happy November to you too! Great goals. I should take a page from your book and do the same for myself. Definitely. You really should do it. It’s so refreshing to see all your goals laid out in front.